Why Adopt from All About Rabbits Rescue? New York City shelters are overflowing with unwanted rabbits. When you adopt from AARR, you are giving a rescued rabbit a second chance at life! You also help to reduce the rabbit overpopulation in shelters and create a space for us to save more! AARR rescued rabbits are recently vet-checked, healthy, and spayed/neutered (In general unfixed rabbits do not make good pets).We offer pre- and post-adoption rabbit support-guidance that includes the most updated resources from rabbit savvy vets and rescues who have handled thousands of rabbits. By adopting a rabbit from AARR, you are giving the gift of life and creating space for us to save more! Adopters of AARR rabbits must understand that our rabbits are to live as household companions. This means that they must have their living space indoors, and must spend every night indoors. Additional safety precautions may be required and will be determined at the time of the home visit. If there are significant problems with the adopted rabbit, the adopter needs to give us advance notice. All rabbits adopted from this agency must be returned to this agency in case of insurmountable problems that prevent the adoption from being permanent. Interested in Growing your Family? If you would like to hear more about adopting a rabbit from AARR, please fill out the contact form or email allaboutrabbitsrescue@gmail.com. What's Wrong with Purchasing a Rabbit at a Pet Store? Pet stores may be a logical place to get a rabbit. After all, they sell supplies and you would assume the staff are knowledgeable about everything pet related, and who would open a pet store if they weren’t passionate about animals? Unfortunately this is not always the case. Just as there are puppy mills, there are also rabbit mills. Hundreds of unweaned babies are taken too early from their mothers, loaded up in trucks and shipped around the country. Many of them do not survive the trip, and others become ill and die in the stores. The staff do not always know very much about rabbits and misinform their customers. They may say the bunnies eat hay and carrots and will pick out a cage for them, not realizing that the baby still needs milk. Nor do they adequately inform their customers as to what to expect as the babies grow older. Will they get bigger? Will they chew? Do they need to be spayed and neutered? Many cities across the nation are banning the sale of animals by commercial breeders in pet stores, and instructing them to offer adoptable animals obtained exclusively through rescues and shelters. Most pet stores do not sell the right products or have the staff properly trained to provide accurate information to customers about proper care. and the animals suffer for it. 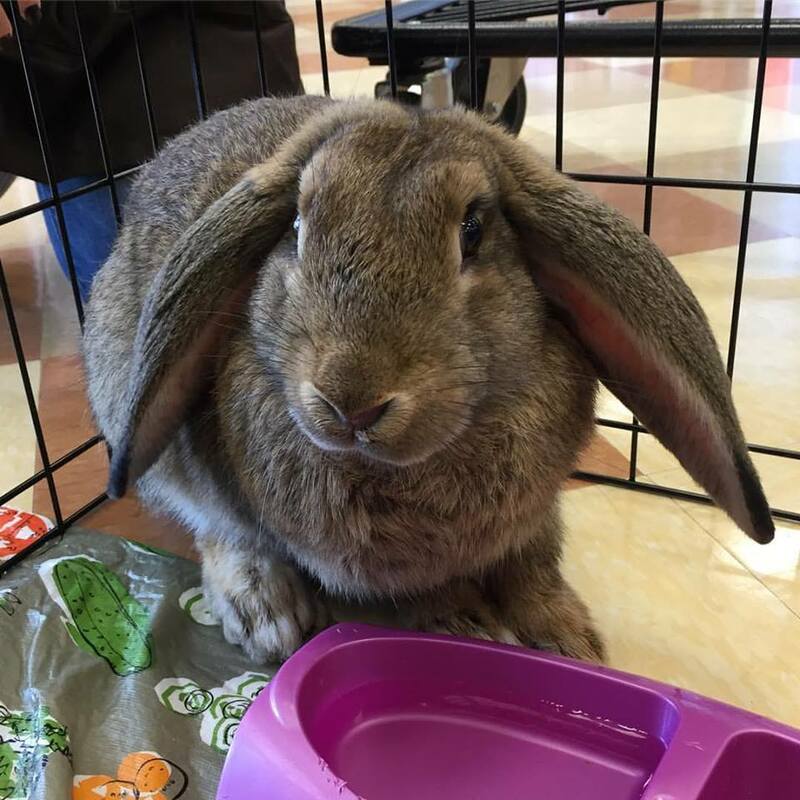 Thousands of unweaned rabbits are purchased at pet stores, swap meets and street corners across the country, and many of them do not live to see their first year. The owners realize how much work they are or children lose interest in them, and the bunnies are either given away, surrendered to shelters or irresponsibly released in the wild where the majority of them die of starvation or predators. Please do consider carefully whether owning rabbits will fit your lifestyle. Click here to learn about being “rabbit ready”. They make wonderful pets, but they are not for everyone. If you do decide to open your home to a rabbit, please adopt! Rabbits are the 3rd most euthanized animal in American shelters today. Help give a rescued bunny a chance!